Did you know sodium chloride concentrations in our lakes have been increasing for decades? In southern Wisconsin, one of the main sources of salt in our lakes, rivers, and wetlands is from overuse during our winters. 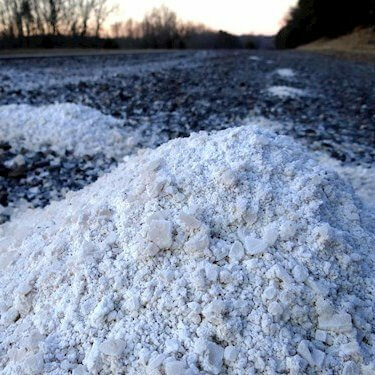 High concentrations of salt can also wash into our waterways when snowmelt occurs, quickly becoming toxic to sensitive aquatic life, especially near storm sewer outfalls. Salt has been used to remove ice from our roadways in Dane County since the 1950s. Salting is an almost unavoidable practice for maintaining safety during Wisconsin’s winters. However, using too much salt or using it in the wrong situations can be as wasteful as it is harmful. Once salt reaches our waterways, the sodium chloride doesn’t break down. It can become toxic to sensitive aquatic life at high concentrations, breaking down the natural ecosystem of our lakes. Salt slows plant growth and changes the composition of soil. It can weaken concrete, brick, and stone used in our homes, and on our bridges and roads. 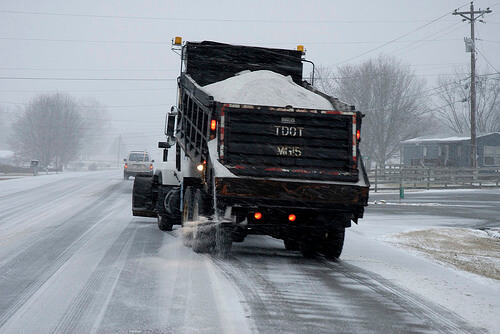 One ton of rock salt causes between $800 and $3,300 of damage to buildings, bridges, and other infrastructure. Salt causes damage to our vehicles. It only takes 1 teaspoon of salt to permanently pollute 5 gallons of water to a level that is toxic to freshwater ecosystems. Salt usage in Wisconsin tops more than 525,000 tons every year. That’s enough to pollute more than 400 billion gallons of water! More than 38,000 tons of salt were used on Madison and Dane County roads during the winter of 2016-2017 – that’s enough to pollute more than 29 billion gallons of water. If you use salt in the winter, make sure you don’t use too much! One 12-ounce coffee mug of salt is enough to treat an entire 20-foot driveway or 10 sidewalk squares. Brine treatments stay on road better than dry, solid salt resulting in less waste and less salt going into the environment. Anti-icing can reduce salt usage by up to 70%! Liquid brine works immediately following its application. Salt brine DOES NOT cause more corrosion on vehicles than solid salt. 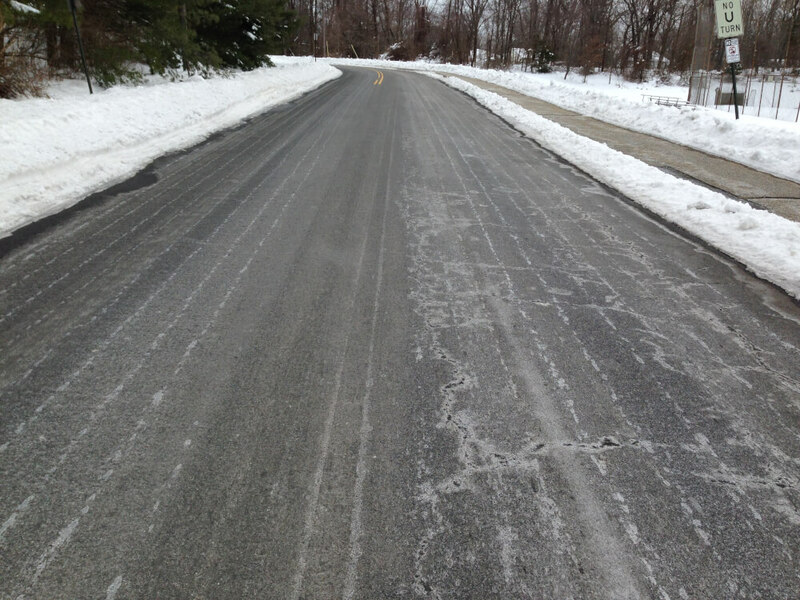 Clear Roads, which tests winter maintenance equipment addresses common myths about brine. Love the lines! When you see lines like these on the road, you know maintenance crews are saving money, time, and protecting our environment! Shovel: Clear walkways and other areas before the snow turns to ice. The more snow you can remove, the less salt you will have to use. Scatter: If you use salt, scatter it so there is space between the grains. Switch: When pavement temperatures drop below 15 degrees, salt becomes ineffective. Switch to sand for traction or to a different ice melter manufactured to work at lower temperatures. The City of Madison provides several locations where you can pick up free sand in the winter. 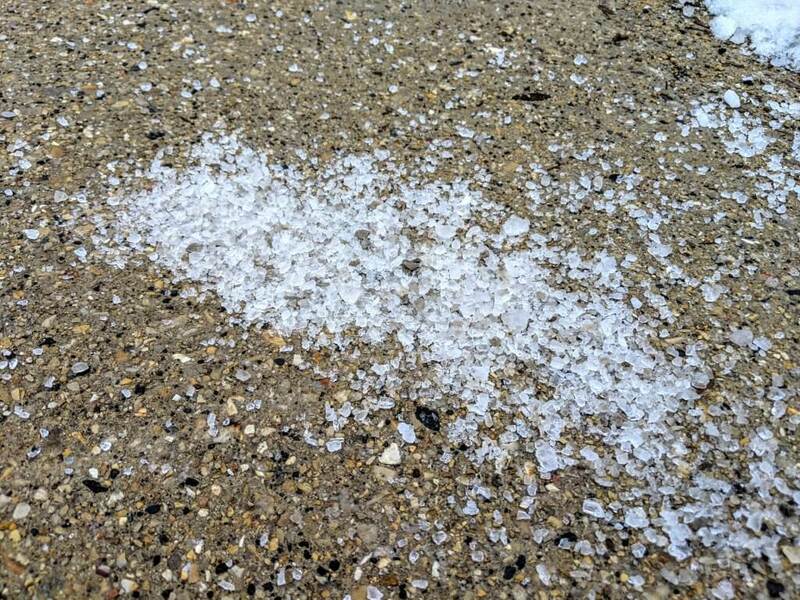 If the forecast calls for rain, sweep up any leftover salt from driveways and sidewalks. This way, extra salt won’t wash into our lakes and waterways. Water softener salt ends up in our local freshwater. If your household water softener uses more than one bag of salt per month, have a professional tune it up or replace it with a high-efficiency water softener. 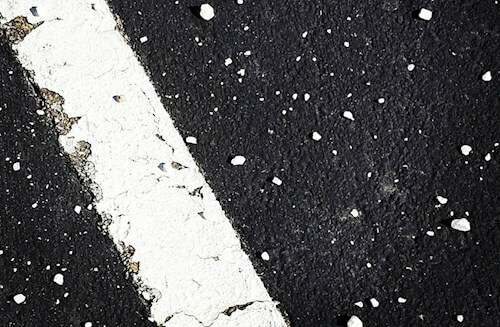 Oversalting frequently occurs on commercial commercial parking lots and sidewalks. Ask local businesses and contractors to get certified through the Winter Salt Certification Program. Check your winter maintenance crew’s salt certification status. There are no labeling requirements for salt. Manufacturers can label products however they choose. This means manufacturers can incorrectly label products to say they are pet safe or environmentally friendly. Read more about salt usage at Wisconsin Salt Wise Partnership. Find out more ways to help our lakes.